You are buying a new HO 1/87 Trident # 1017 Chevrolet Window Van Port Authority Crew Car. THESE UNITS HAVE SMALL PARTS AND ARE FRAGILE. Oxford 1/87 HO scale 1959 Pontiac Bonneville Coupe, Sunrise Coral, with clear display case and plaque, Oxford Diecast #87PB5900s, vehicle size approx. Diecast models are hand painted with pad printing, no decals are used. Oxford 1/87 HO scale 1957 Chevrolet Nomad Station Wagon Reo Red and Arctic White, with clear display case and plaque, Oxford Diecast #87CN57002, vehicle size approx. Diecast models are hand painted with pad printing, no decals are used. You are buying the following item(s): CMW Mini Metals 1/87 HO Scale ‘70 Chevelle SS Yellow w/Rubber Tires Loose These item(s) come from a smoke-free environment. No International Shipping PAYMENT: PayPal SHIPPING: I do combine shipping! USPS First Class Mail or Priority if more than 16 ounces Each Additional Car 1:87 $.25 Loose & $1.00 Boxed, 1:64 $.50 Loose & $1.00 Carded and 1:43 $1.00 Loose & $2.00 Boxed. Highest shipping price among purchased items establishes base shipping price. Feedback will be provided as soon as payment has been received and cleared. Please contact me before leaving neutral or negative feedback so that I may have the opportunity to make it right. Cool additions to any diecast, Audi, BMW, or vehicle collection. Audi 100 Avant. Audi Cabriolet. Diecast models are hand painted with pad printing, no decals are used. Oxford Diecast detailed authentic models will give your layout a realistic look and feel. Nicely detailed collectible 1/87 HO scale model for an HO layout, or as a stand alone collectible model. 1955 CHEVY BEL AIR. Malibu International. 1997 Micro Machines #9 Volkswagen In The Box And 5 Bonus Car rare Set. 1997 Micro Machines #9 Volkswagen and five bonus cars. It is an unopened package and is in excellent condition. 2" Long, see full details below. • Motor Max: Model #73950AC. • 1970 Ford Maverick. Nicely detailed collectible 1/87 HO scale model for an HO layout, or as a stand alone collectible model. Perfect for detailing a layout. 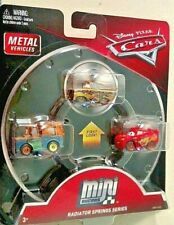 Mini Exacts Gift Pack 6 Cars * 1/87 Scale * New in Box. Condition is New. Shipped with USPS Priority Mail. Micro Machines Volkswagen #9 Show Cars Collection Set 1997 Bonus 5. VW. Rare Set. Condition is New. You are bidding on Micro Machines #9 Volkswagen set with 5 Bonus Cars. This is truly a VW collectors item. The #9 set is rarely listed or available therefore I have a reserve. - this box is from my private collection - The box has a little wear from being stored. These toys are vintage!! Please see photos for details and condition before bidding. The pictures are considered part of the description. Please review them carefully and if you have questions please email me. All sales are final, no returns. Payment must be received within 2 days. You are buying a new HO 1:87 Promotex # 6472 Freightliner B COE w/Car Carrier Trailer - Blue. 1 - Gray 1959/1960 Corvette plastic toy car 1" lg. Do not know the year made. 2019 Hot wheels Super Treasure Hunt 1968 Mercury Cougar 164/250. Condition is New. Shipped with USPS First Class Package. Card is mint! No veins, no soft corners, no blemishes what so ever! Oxford 1/87 HO scale 1961 Chevrolet Impala convertible Red with Red interior, with clear display case and plaque, Oxford Diecast #87C161002, vehicle size approx. Diecast models are hand painted with pad printing, no decals are used. Car Model Ratio: 1: 87. Material: Alloy. Product Category: Automotive, Pull Car Model. Oxford 1/87 HO scale 1955 Buick Century Black and White, with clear display case and plaque, Oxford Diecast #87BC55005, car size approx. • Oxford Diecast: Model # 87BC55005. Diecast models are hand painted with pad printing, no decals are used. For the Porsche lover is six assorted cars that are 1:87 Scale. In Black, Red, Blue, and Silver. New in box. 1936 Ford Police Car By Classic Metal Works 1:87 Diecast W Rubber Tires. Condition is Used. Previously displayed but in excellent condition and it is very clean. Shipped with USPS First Class Package. Die Cast model. If you Buy More than 1pc. Maxmium 6pcs. HERPA 192989 VW VOLKSWAGEN UP! Compact ' HCC PKW 2012 CARSCLUB ' PROMO in PC box, HERPA 023290 BMW 1er Compact, RIETZE VW VOLKSWAGEN SHARAN MINIVAN " 56. IAA 1995 " PROMO and WIKING VW VOLKSWAGEN GOLF V (2004) DEALER PROMO. You are buying a new HO 1/87 Busch # 49956 Racing Sport Vehicle Accessory Set - Tires, Cones. NOTE: Tires include 4 @ 8.5mm, 4 @ 7mm, 2 @ 6.5mm by 3.5mm wide, 2 @ 7mm x 4mm wide. THESE UNITS HAVE SMALL PARTS AND ARE FRAGILE. You're considering a lot of 2 Hot Wheels Planet Micro 1:87 scale Christmas Ornaments. Price includes FREE Shipping!. Diecast models are hand painted with pad printing, no decals are used. Nicely detailed collectible 1/87 HO scale model for an HO layout, or as a stand alone collectible model. 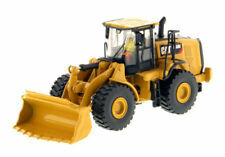 Oxford Diecast detailed authentic models will give your layout a realistic look and feel. You are buying a new HO 1:87 Promotex # 6472 Freightliner B COE w/Car Carrier Trailer - Red. Ricko and Malibu international HO 1:87 Scale Lot Of 7 Alfa Romeo cars. I marked as used because the boxes have minor dust and maybe slight ware on the cardboard but as far as I know these have not been removed from their boxes. I would consider these new in packages. See pictures for details, content, car types and associated brands and conditions. Model:Material Handling Vehicle. Size of vehicle:approx 8.5 5.5 4 CM. -1 x Die-cast vehicle. Atlas Train Model 1:87. MOTOR BIKE. Scale: 1:87. Volvo Car Model 1:43. Collectable Value: Reminiscence, Hobbies Cars By Collection, Original Styling, Wheels Can Rotate, Best Gift For Adult Collector. 1963 Ford Thunderbird. HO scale, red and white. Hot Wheels Candy Apple Red Volkswagen Beetle 1:87 Scale - NIB. Condition is New. Shipped with USPS First Class Package. Brekina Automodelle. 1968-1973 Porsche 911 Targa - Assembled. HO scale, yellow exterior, red interior. From 150 USD total amount on. complete, condition: as good as new, look at the photo, made of plastic, 100% authentic. Oxford 1936 Buick Special convertible, Cardinal Maroon with clear display case and plaque, Oxford Diecast #87BS36003, vehicle size approx. • Color: Cardinal Maroon. Nicely detailed collectible 1/87 HO scale model for an HO layout, or as a stand alone collectible model. 1953 Cadillac Eldorado. HO scale, baby blue exterior, white interior. Cool promo vehicle. New in thin plastic box. Zoom in for details. Number 489312. New in box. Zoom in for details. Buick Special Convertible. Lincoln Continental 1941 Pewter Grey. Lincoln Continental 1941 Spode Green. Lincoln Continental 1941 Rockingham Tan. Lincoln Continental 1941 Maroon. 1:87 Scale. We want your item to arrive promptly and safely.